The Space Invaders are back and they're coming for your gadgets! 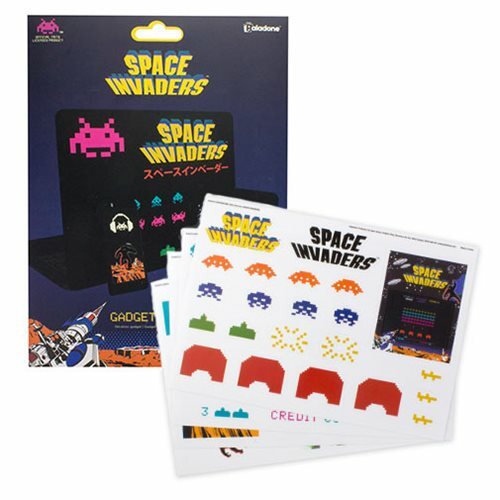 With these fun Space Invaders Gadget Decals Stickers, you can customize all your gadgets with iconic images from the original arcade alien shooter game. 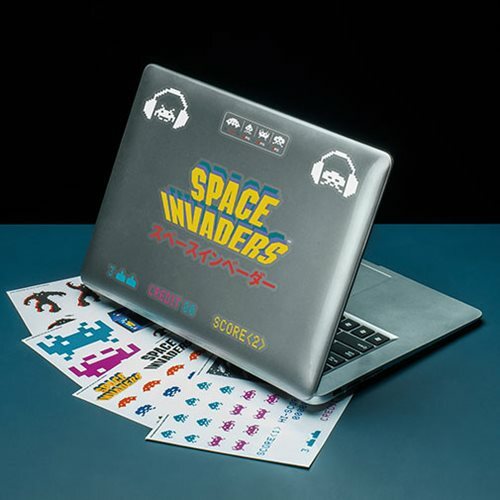 Featuring classic images, logos, and icons from the popular Space Invaders game, this set includes 4 sheets of stickers, perfect for adding an alien touch to smartphones, laptops, and tablets. Ages 14 and up.